Are you a drug dealer? Neurosurgeon? Do you own a professional sports team? Did you pull out of real estate market before 2008? Or are you someone who wants to invest in the future of snowboarding? If so the Burton Vapor might be for you. The Burton Vapor is a directional snowboard but it is very close to a twin in shape. It is quite unique in terms of tech and almost anyone who has tried the Vapor can’t really find any glaring issues. 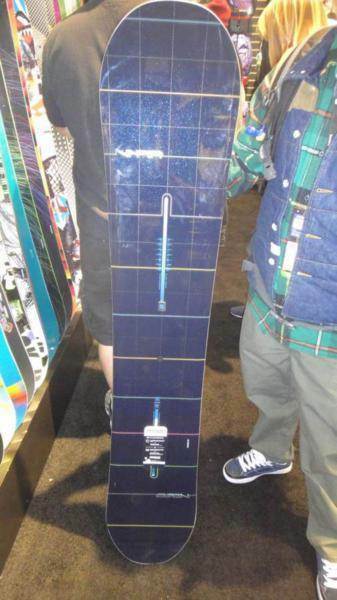 The 2011 Burton Vapor has changed a lot from 2010 by changing the core from aluminum to wood. The ride is better but still very much the same style ride as the aluminum Vapor. 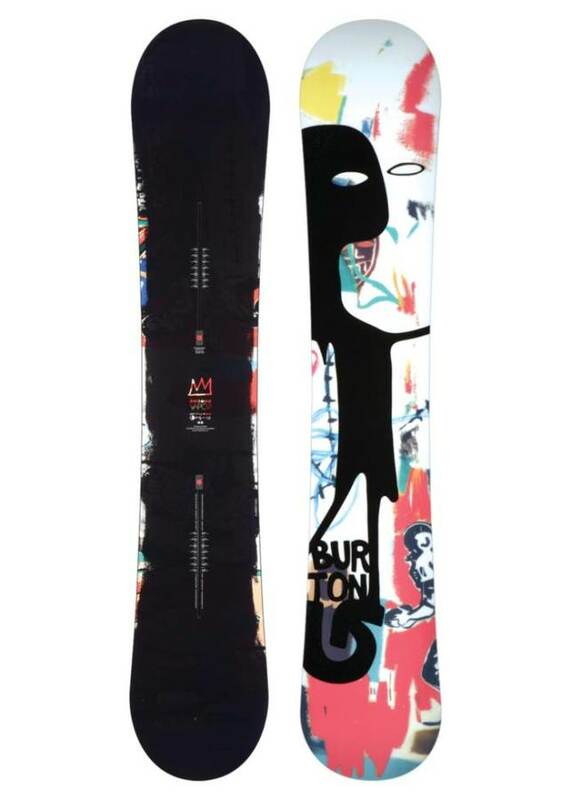 The 2012 Burton Vapors‘ wood core is a little more springy and seemed lighter than the 2011 but it’s hard to say for sure. 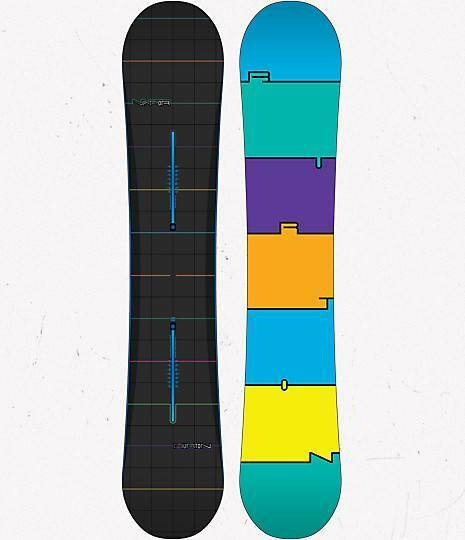 The 2013 Burton Vapor is pretty much the same board as 2012 and that’s not so much a bad thing. So the Burton Vapor already has a huge reputation and is the kind of the board that has more reviews than you could ask for. 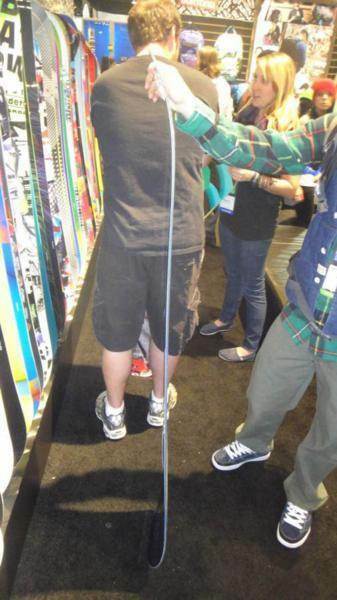 We don’t know if you need another Burton Vapor Review but here is our take anyway. I (editor) tried this board a while back and remember it as an amazing but expensive board. When I revisited the Vapor with my friend for 2 days we felt the same thing again. So here is the detailed review. On Snow Feel: It’s best to pick up some speed and make some good turns when riding the Vapor. It’s light nimble and quick but not for the average snowboarder. The camber is for those that understand it’s catchy/locked in feel that is far than free from consequence. 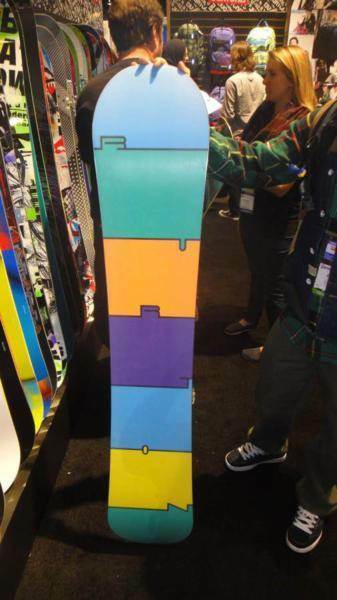 It’s like a more twin-like version of the Custom X.
Powder: Camber boards just don’t cut it these days in powder. If you have enough cash to buy this board then go get aNidecker Megalight, Lib-Tech Birdman or a Burton Barracuda for those freeride/powder days. This is borderline rough when it comes to powder. This has a setback and the channel lets you set aboard back more than a normal snowboard but still, this is going to get blown away by a continuous rocker twin with a centered stance. Do we want Burton to fix this? Not unless you still get the great non-powder performance. Turn Initiation– Both riders who tested this board are either heavy, strong or both when it comes to torsional flexing a snowboard into a turn. Both of us were expecting more to get this to turn and we were surprised how easy it was to transition from edge to edge. Short radius turns are pretty easy and wide radius turns are just plain fun. Burton proves it’s still a great time to ride a camber board. Carving– The Vapor is a dream to carve and we had soo much fun learning as hard as we could. It had that awesome spring that the Burton Custom X has out of a hard turn or carve but was easier to initiate a turn with the Vapor. Speed: You would think a board this light would be chattery or have some issues with speed but then when you think about the price it better not. Well never fear the Vapor blows away any other board of its size and shape. It’s no Nidecker Platinum but it sure is fun to straight line a big steep hill. Uneven Terrain: It’s a little rough when you have to slow down and deal with bumpy conditions. Many Burton Boards do really well here but my guess is maybe the ultralight tech passes on a little more shock through to the body than the heavier Burton Boards. Approximate Weight– Its called the Vapor for a reason. I kept checking my left foot to see if it was on. It was easier than any board we have tried on a chairlift. Edge Hold: This board only had a few days on it when we took it. We didn’t have ice but it held an edge fine on just about any conditions the average rider would want to ride. Still, we would have liked a little more here than we had. It was right in the middle of good but we wanted borderline excellent or excellent when it came to grip. Flex: This is no butter board. It’s made for speed, pipe, and big jumps so you wouldn’t expect this to be pretty flexy. It felt like it was a bit on the stiff side of medium. Switch: The Burton Vapor is a pretty good board to ride switch and it should be. You can center the stance and it’s pretty close to a twin shape. Still, it’s no directional twin or twin and you can feel a difference until you get used to riding switch with this a lot. Rails and Jibbing– This has good edge hold and a medium flex throughout most of the board so don’t take it down a big rail or some technical jib. Pipe: This isn’t as forgiving as some rocker or hybrid boards out there but if you are an expert pipe rider you will probably prefer the Vapor over almost any board out there. If you are an advanced rider it will be more difficult to learn new tricks on this but it’s a great pipe board. Jumps: The Vapor is all about good old camber spring to generate your own air. We didn’t get to try this with the Burton Diode EST bindings and that is a shame because the Diode would create some pretty serious ollie power paired up with the Vapor. Going off kickers the Vapor is stable and strong so don’t worry about the board….just worry about your ability and health insurance plan. It’s not ideal on small jib like jumps and it requires a little more of a technical approach to the roller coaster park but it’s hard to say this isn’t excellent when it comes to most jumps if you are an expert park/jump rider. All in all, this is about what we expected when it came to a board and if it were around $700 we’d seriously consider adding it to our quiver. At $1,200 it’s out of our range. So drool away and seriously question trying to afford this. That is what anyone does who ride this board. 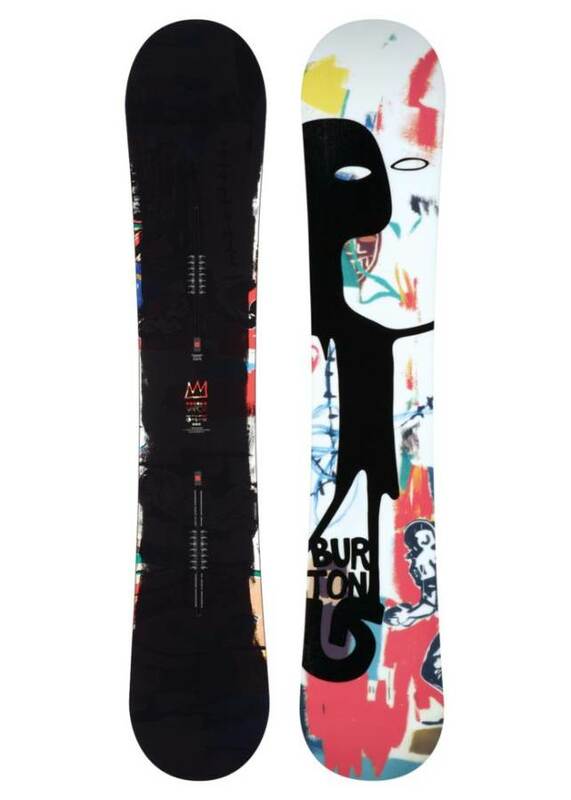 We try to get as many images of the Burton Vapor, but forgive us if they're not all there.